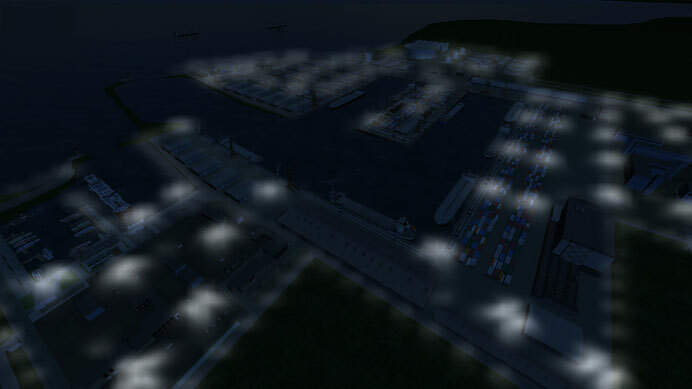 3D stand is intended for training of Port facility security officers in accordance with ISPS Code, Chapter XI-2 of SOLAS, STCW Convention, as amended, in part concerning of engineering and technical tools for provision of port facility security. 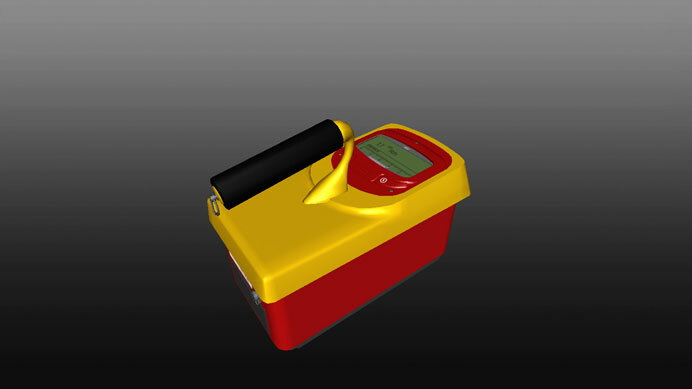 3D models and descriptions of engineering and technical tools. Electronic scheme includes structured information of port security engineering and technical tools complex, which provides timely detection and reaction to attempts of unlawful interference acts to assets, cargo and physical parties in port facilities, and provision of accordance of inside treatment by legal and physical parties. 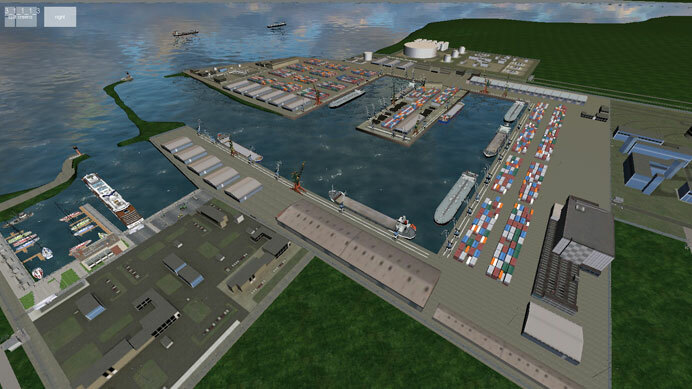 Electronic scheme allows viewing 3D models of engineering and technical tools of port facility and get access to its description, as well as promptly find engineering and technical tools on 3D model of the port. engineering and technical tools for provision of port facility security. Port is equipped with engineering and technical tools for provision of port facility security in full compliance with electronic scheme. 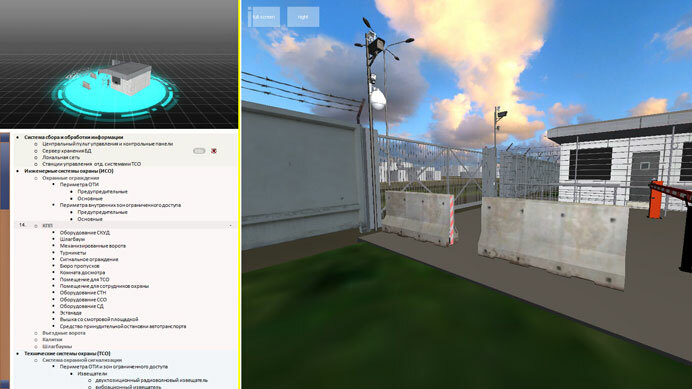 3D stand interface allows providing fast movement of the observation camera of the user to separate 3D models, as well as free movement through the port. 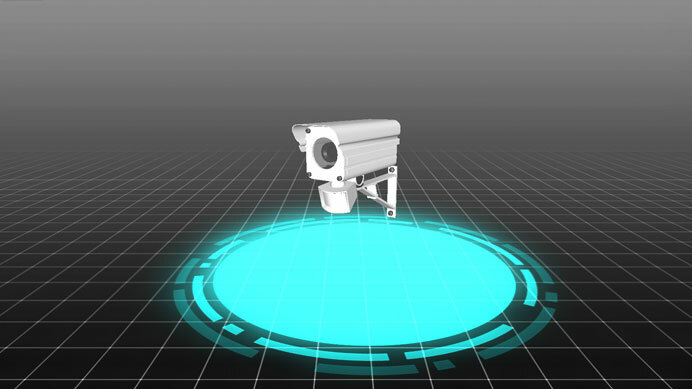 User can set the virtual time of the day for demonstration of operation at night and at day. Information of the simulated means includes its short technical description, main functions and operational principles.